"Hi Marilynn, I want to thank you and congratulate you on this book. This is turning out to be a remarkable series of books. I think it's important because there just aren't any books out there that cover Mystical Theology in this kind of detail, at least not newly or recently published ones. So this makes it a very special and quite unique series of books that you have given us. The section covering the Garden of Eden and the original fall was amazing. It is so hard to even comprehend just what our original nature of true love could have been like. And yet, when I read about this, I got goosebumps and I immediately thought that we all must have buried deeply somewhere within our soul a memory of this, and it at least explains that sense of loss, that knowing of something fundamental that's missing whilst we are on this earth. After all, why else would we feel that way? And that then perhaps explains our individual longing for love, to love and to be loved completely and unconditionally. Because it's actually what we were. And even though I can't hope to really know what that nature of true love feels like when experienced as it once was, and as we were intended to experience it, it makes complete logical sense that what we experience here and see around us is Satan's horrific degrading of this pure state. And so we can begin to make sense of it all, what we are left with here. And we get a taste of that pure state sometimes in mystical states, or in moments with another person (if we are lucky), and even that is so far removed from what it really should be. You wrote "The masterful hand of God has shown me that even amidst this fallen world, the primordial perfection can be seen, felt, tasted and heard". When I read about this, it just resonated on a deep level. It makes perfect sense and feels right. This is perhaps the deepest subject I can imagine writing about or discussing, not a subject that is easy to articulate, and I've never read about it anywhere else other than in these two books. Sometimes we can find ourselves on a very lonely stretch of path. We can feel lost, isolated and alone. And although we are on an important part of the journey, it can actually feel like we are going nowhere, or have taken a wrong turn and are heading backwards. How can we be for a time so spiritually satisfied and experience enlightening mystical visions and experience such satisfaction from prayer and enjoy deep and peaceful meditations. And then without warning and for no apparent reason we can be thrust into a spiritual dryness, with an inability to pray or meditate, and then watch as our waking lives descend into chaos for all kinds of reasons. We wonder if we are under attack from the forces of darkness. The depression follows because we know what we are missing and cannot understand what's blocking our connection with God, or understand why it's happened. We ask how we can have suffered such a setback, without even falling into serious sin. In fact we have repented our most serious sins and have even began to resist our primary sin or sins consistently even in the subconscious states. We get to a place where we have a complete aversion to those sins, although the temptations never cease. But no reward comes from these efforts, instead we become more aware of just how low we really are and that everything we do is selfish. I've even had thoughts that my spiritual journey is just a result of selfishness, just trying to protect my neck, save my pathetic self from damnation. A voice tells us that we were never even close to God in the first place, but that it was our imagination. So we end up caught between two worlds but participating in neither. Isolated from God, but unable to enjoy the pleasures of the world, because we now have an understanding of their temporal nature, and we have seen with our own eyes how demons will try anything to draw us back into sin and worldly things. So we know that that is the end of that way of life for us, we've had the confirmation of where that will lead us to after death, so no going back. Yet no doors open for us to run into, and in fact we appear to be in a more sorrowful state than we ever were. 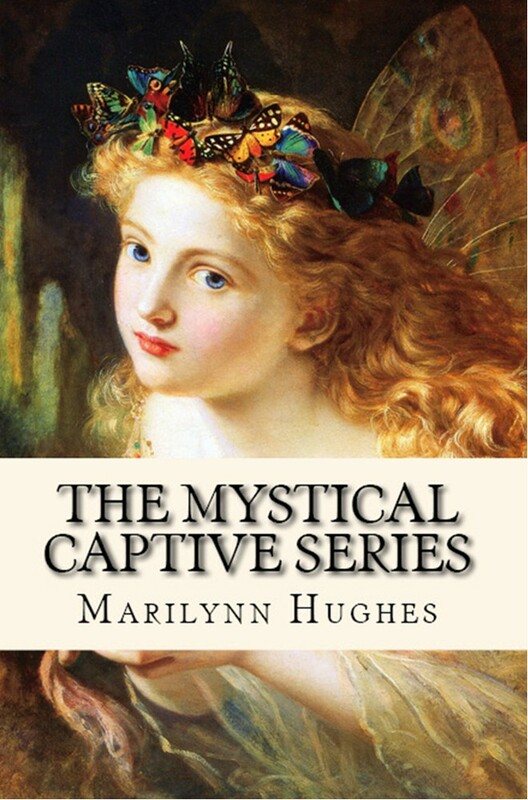 The Mystical Captive Series, (A Trilogy in One Volume) - 'The Mystical Captive,' 'The Mystical Freeborn,' and 'The Royal Question' in One Volume.